Located in Dallas’ Lakewood neighborhood, Chip’s Old Fashioned Hamburgers offers just that–delicious, affordable, and casual old fashioned hamburgers. Chip’s has been a Dallas staple for more than 30 years and there’s definitely a reason for it. Red checkered table coverings, local craft beer, soda machines, booth-style seating, and oldies music accompany the burgers, making the dining experience even more authentic. You can build your own burger (stand-out toppings include avocado, bleu cheese, and shoe-string onions) or choose from a list of sandwiches or salads. However, they offer more than just your average burger–you can select a 1/2 or 1/3 pound of turkey, vegetarian, portobello mushroom, tuna, or bison. The options are endless! 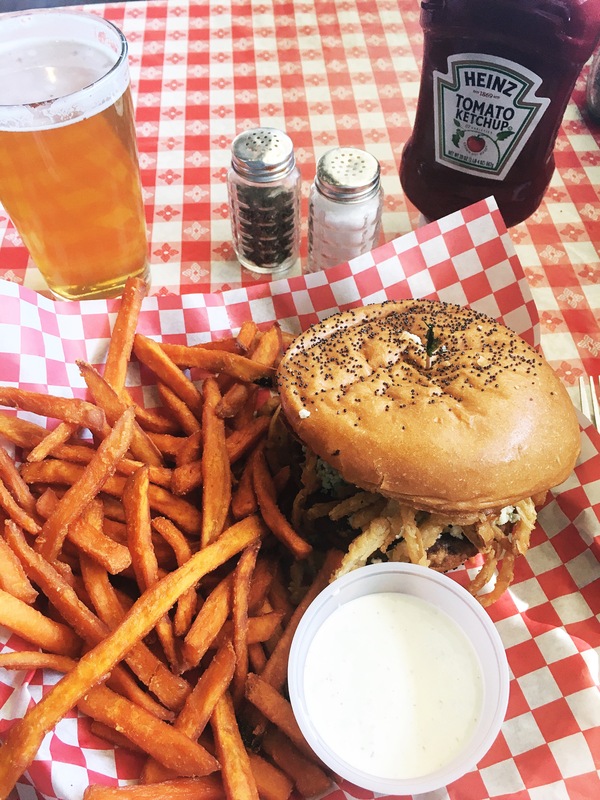 Here’s what we recommend: The vegetarian burger (pictured here) on a poppyseed bun, with tomato, bleu cheese, avocado, ranch, and shoe string onions, paired with sweet potato fries and a Freaky Deaky. For the carnivores, we’ve also had the bison and turkey as the meat–can’t go wrong there either.